The data firm at the heart of the 2016 election controversy filed for bankruptcy on Tuesday. Cambridge Analytica has been accused of improperly using Facebook data to help Trump win the election. The company denies wrongdoing. 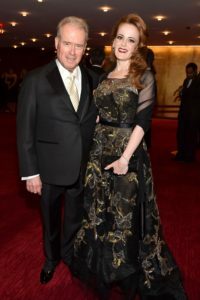 Photo: Billionaire Robert Mercer and his daughter Rebekah were major funders of Cambridge Analytica.